Papert. S. (1990, July). Perestroika and Epistemological Politics. Speech presented at the World Conference on Computers in Education. Sydney, Australia. 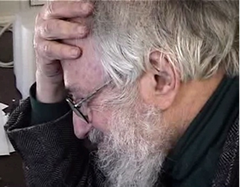 Seymour Papert ended the World Conference on Computers in Education with the statement above twenty-22 years ago. Now that many of us are at ISTE 2012, how should we respond?